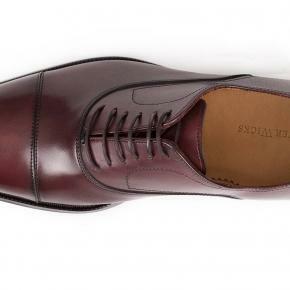 The Burgundy color paired with the classic cap-toe design results in a shoe which adds a bit of flair to your look without going over the top. 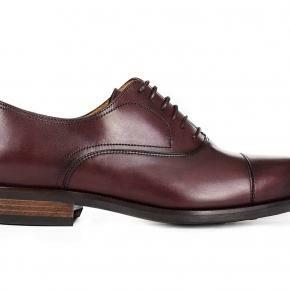 The shoes work equally well with your charcoal or navy suit and with your jeans & chinos. 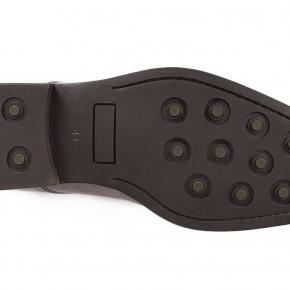 The rubber sole is perfect for the gentleman on the go, rain or shine. 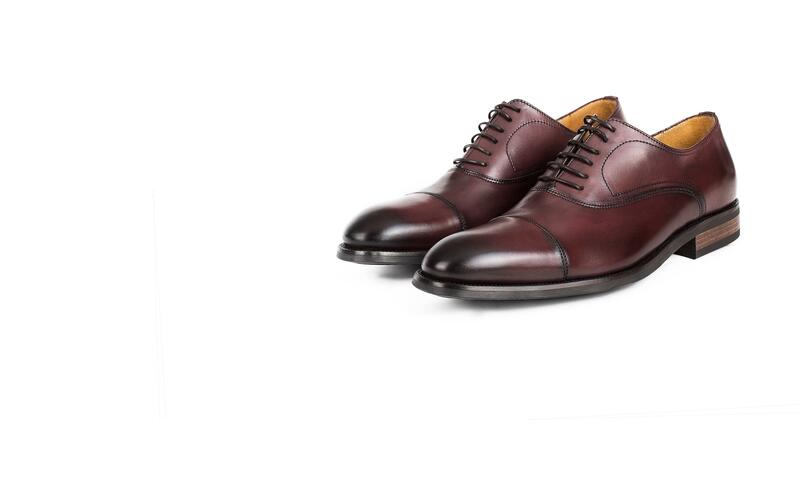 Crafted in Portugal by skilled shoemakers in a third generation family-owned factory, these essential cap-toe Oxfords are made from fine Italian calf leather. 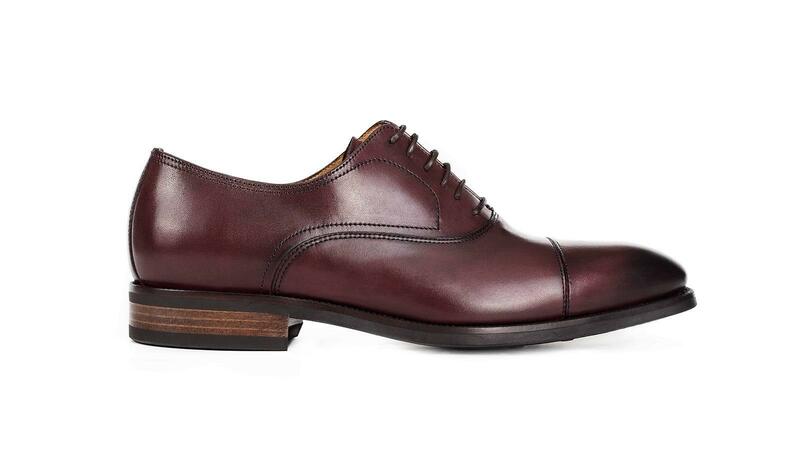 They are constructed with a flexible, lightweight Blake stitch and feature full leather lining.